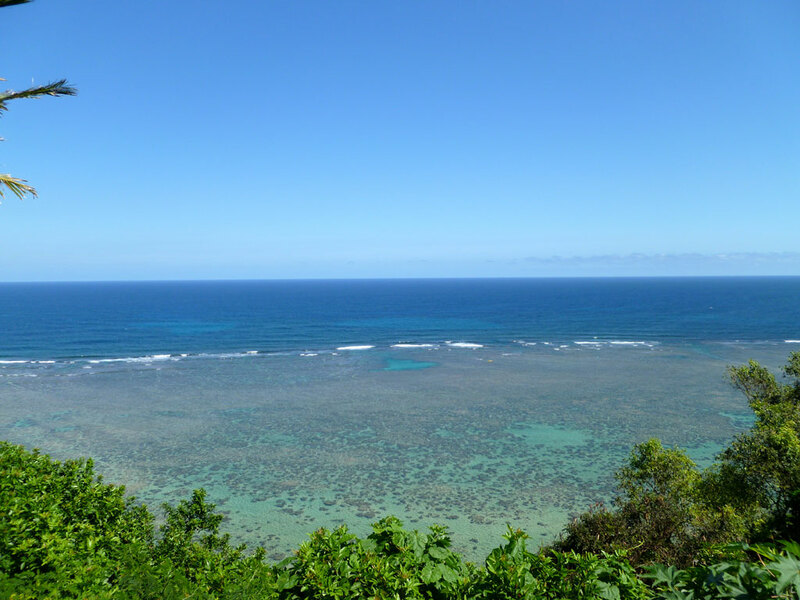 Course Website: Official Website - Visit Makai Golf Club's official website by clicking on the link provided. 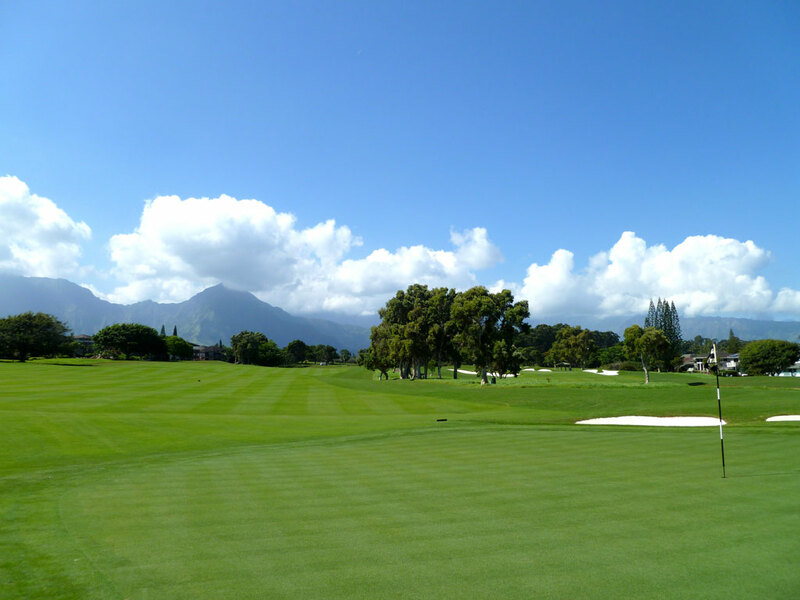 Accolades: Ranked 6th in Hawaii on Golf Course Gurus' Best in State list. 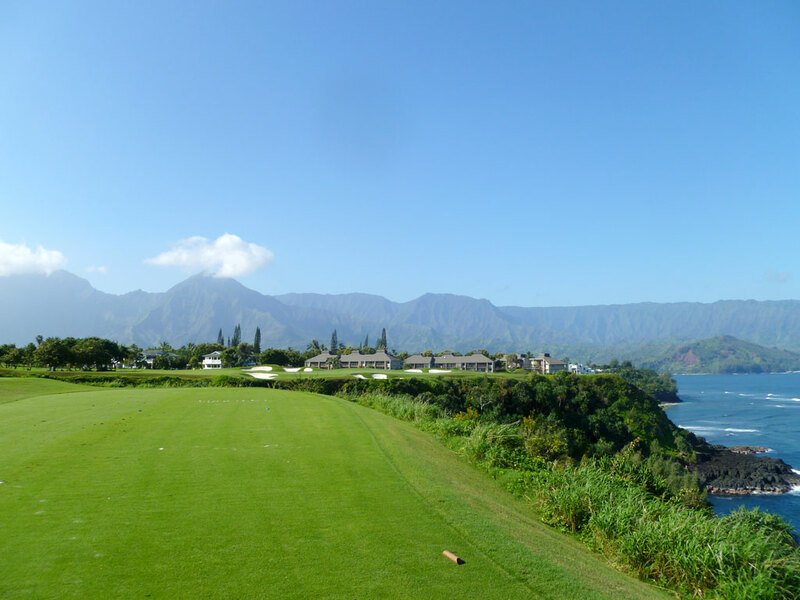 What to Expect: Let me just say up front that the Makai Golf Club far exceeded my expectations. 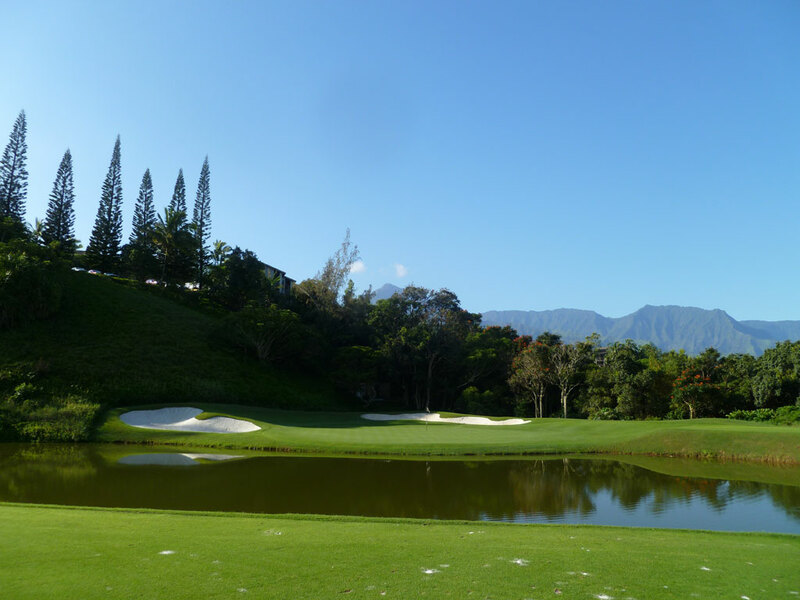 Long dubbed the "ugly step sister" to the famous Prince course at Princeville, Makai closed up operations in order to go through an extensive 16 month remodel before reopening in early 2010. The results are stunning! The turf conditions couldn't be better, the ocean views are breathtaking, and the layout is both inviting and challenging. Brilliant white bunkers are perfectly groomed and peppered throughout the course thus inviting the player to take thoughtful consideration before each stroke. The course doesn't wait around to introduce the golfer to the ocean as gorgeous views are on display behind the 2nd green, a 611 yard par five. 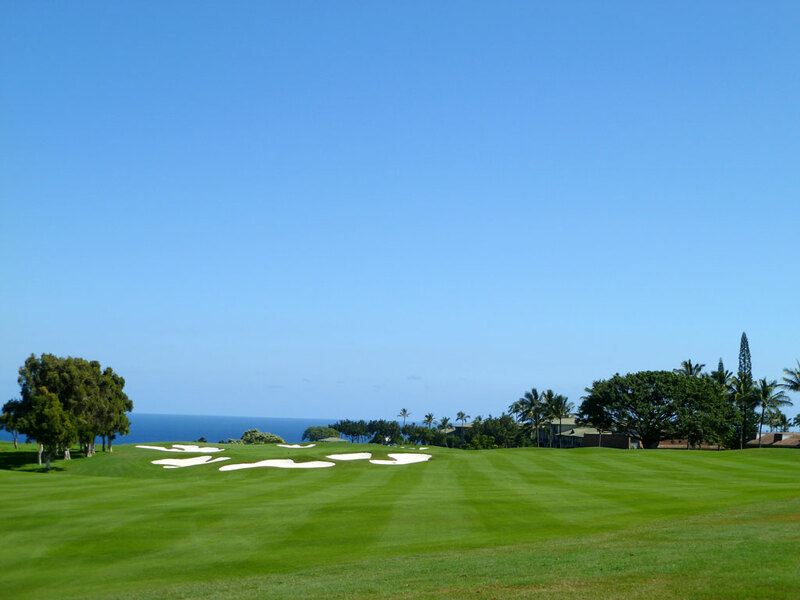 The 446 yard 6th hole is another favorite of visitors as you play right towards the rocky north Kauai cliff edges with the ocean as a backdrop and Queen's Bath situated in the lava rock below the green. 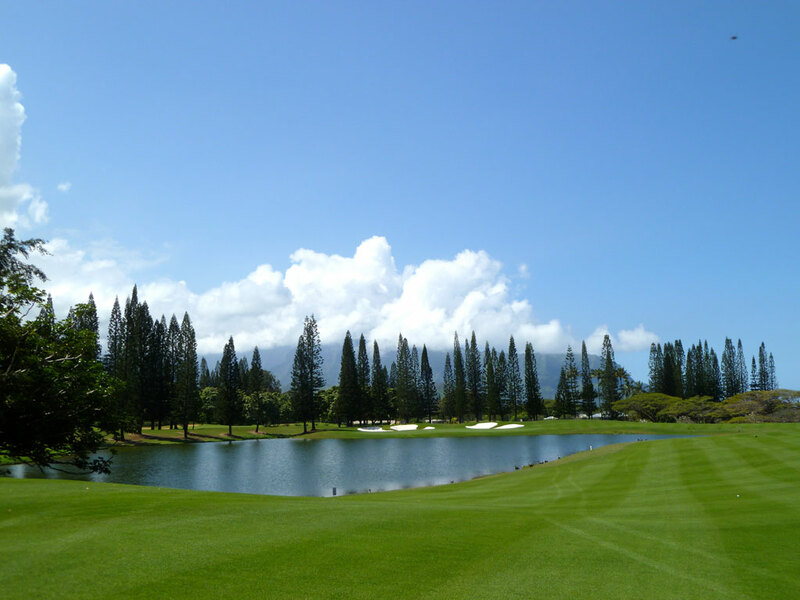 The terrain is less dramatic, demanding, and doesn't feature as much jungle as the Prince course, which should appeal more to ladies and higher handicappers looking to enjoy Hawaii without going through a dozen balls. In conclusion, Makai is really impressive and has successfully shed the "ugly step sister" status and now stands on its own merits as one of Hawaii's finest tracks. Signature Hole: 3rd Hole – 181 Yard Par 3 – In my scope of travels, nowhere is prettier than Kauai; it just feels and looks like paradise. As such, one of the most captivating holes I've ever played is on Hawaii's garden isle; Makai's stunning par three 3rd hole. 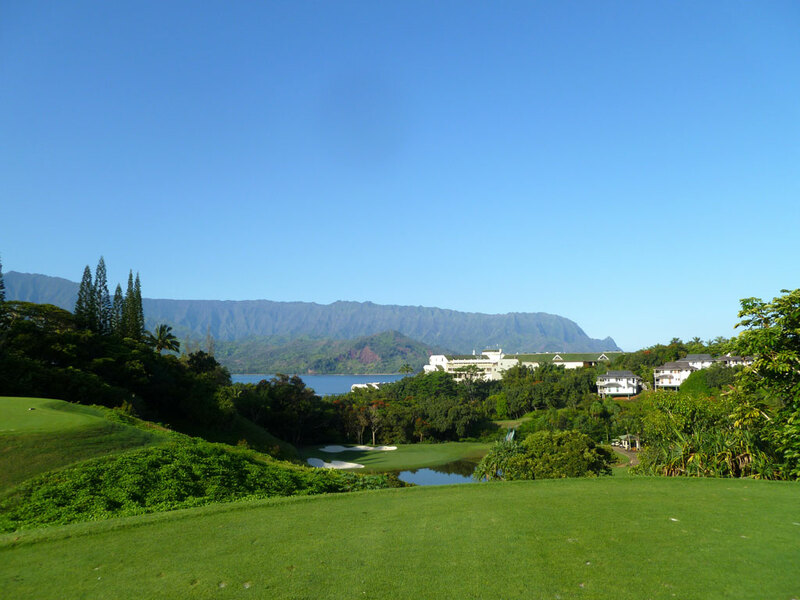 Standing on an elevated tee with views of the rugged northern Kauai mountains and brilliants blue ocean in the background, this downhill par three plays over jungle to a green protected by two bunkers on the left and a pond in the front. It is simply one of the most gorgeous views from a tee box I've ever enjoyed. 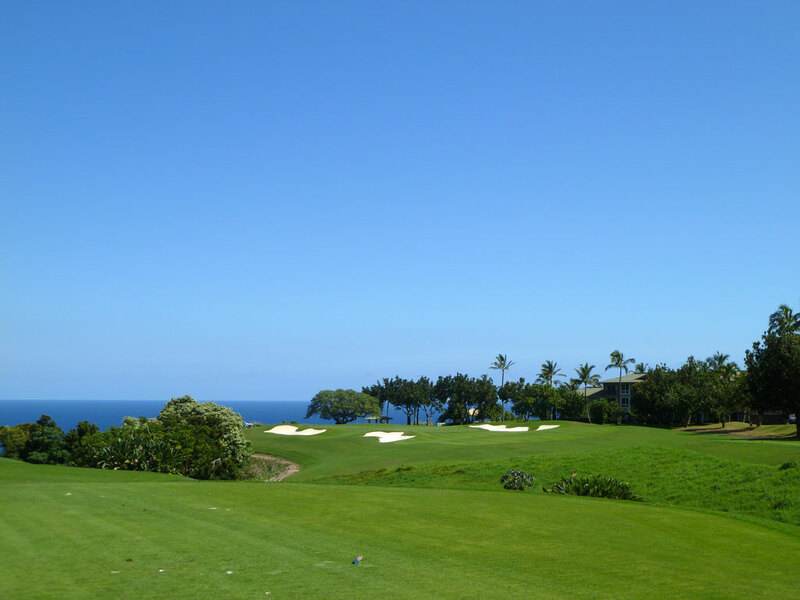 Best Par 3: 7th Hole – 213 Yards – When you golf in Hawaii, you hope you play some holes along the ocean. 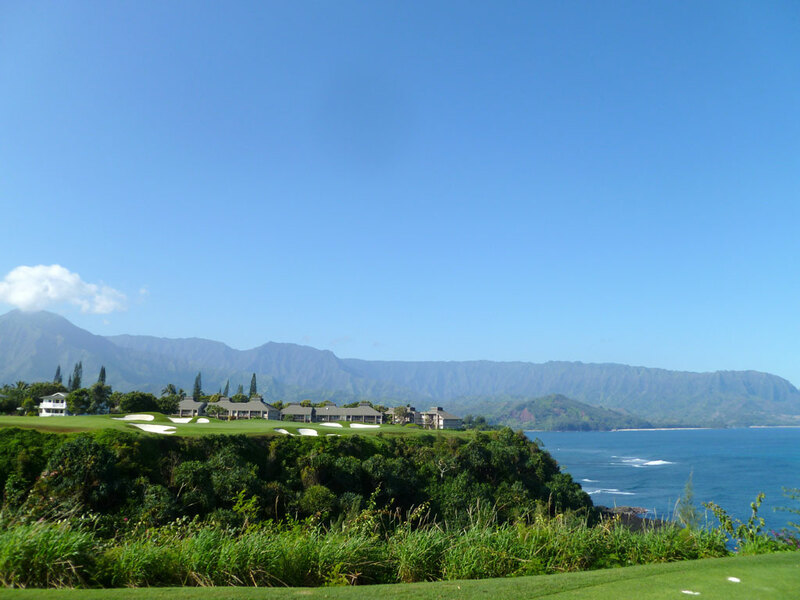 Makai's 7th hole comes through with a dazzling one-shotter that plays over an ocean cover to a green surrounded by bunkers. The walls of the cove ravine are covered in thick foliage all the way down to the lava rock below. #3 and #7 are as pretty of a pair of par threes I can recall seeing on the front nine of a course. 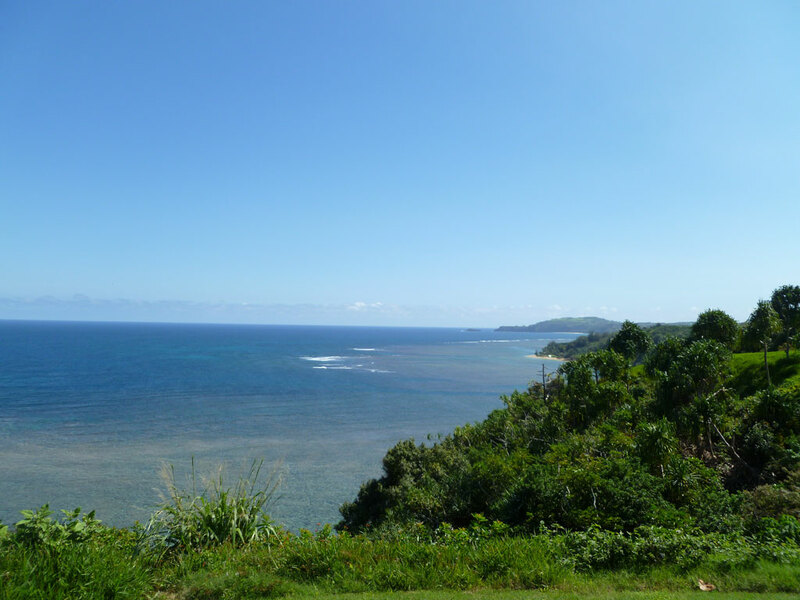 Best Par 4: 12th Hole – 450 Yards – Makai's 12th hole is a sweeping dogleg left that flows down towards the ocean. Tipped out at 450 yards, the fairway is plenty wide with only a couple of tree the could possibly cause trouble. 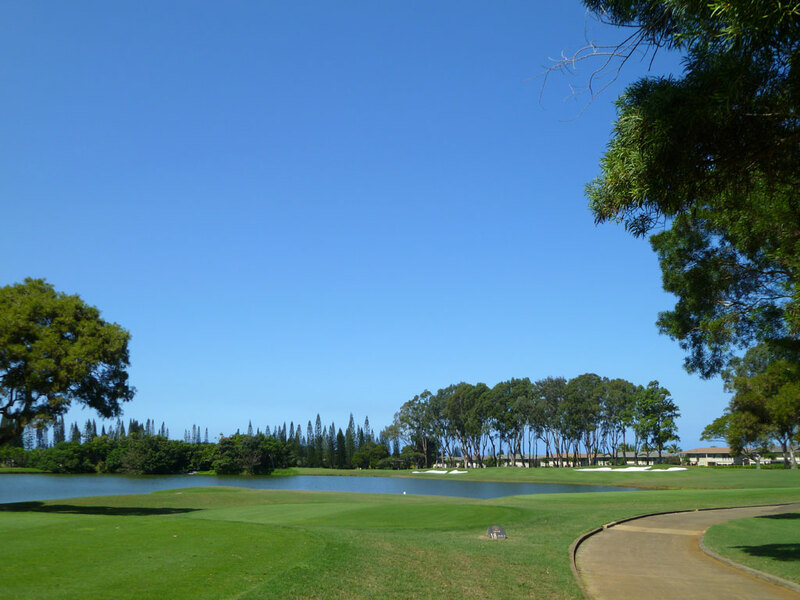 The approach shot is exhilarating as you line up your shot with perfectly green grass and brilliant while bunkers sitting in the foreground and the ocean in the background. While it may appear there is no safety to hit to, the largest collection of bunkers sit well short of the green and act as a visual hazard more than a physical one. The green is protected by a large bunker left and smaller bunker right with a large fairway opening down the center. Best Par 5: 18th Hole – 567 Yards – The risk/reward par five 18th is a beautiful and exciting finishing hole. 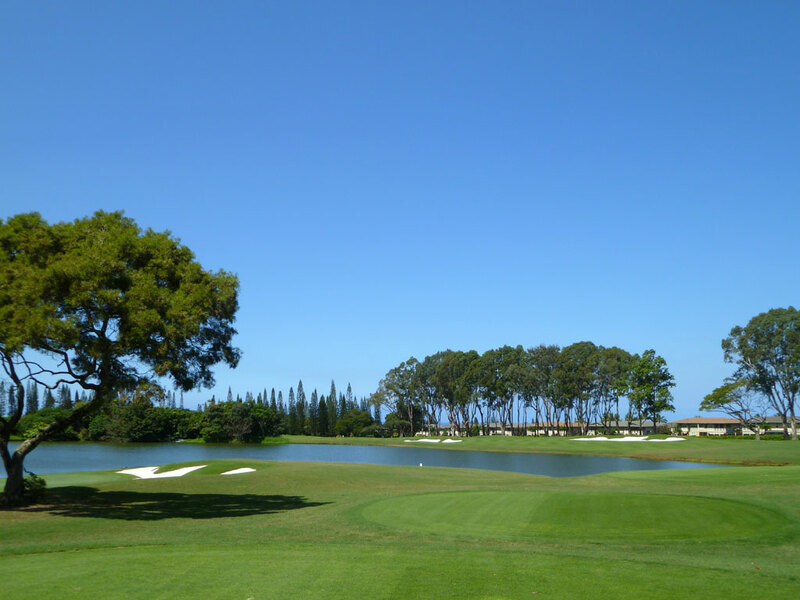 At 567 yards, the hole is reachable in two, especially when you consider how much yardage can be reduced by cutting off the dogleg and attacking the green over the water rather than laying up. The fairway wraps around to the right of the pond and offers an alternate route to an aerial approach over the pond fronting the green. Hitting a draw off the tee can leave you with a mid to long iron into the green and whenever I can reach a par five in two with an iron in my hand, it is the automatic green light to take a rip at it. 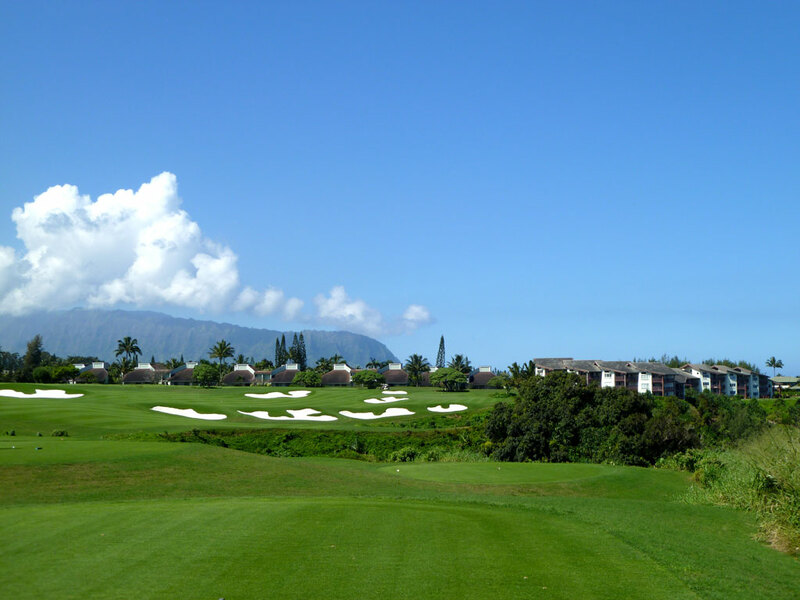 Birdie Time: 14th Hole – 338 Yard Par 4 – Makai features a brilliant variety of hole lengths, shapes, and challenges throughout the round and the 14th hole is a great example at mixing it up. The tips measure 338 yards, but taking a direct line from the tee box to the green will reduce the yardage to under 300 and makes it reachable for many players. The hole features a cliff edge to the right and driving the green will require carrying a jungle ravine and avoiding the eight bunkers that protect the hole. Plenty of fairway is offered to the left for those that elect to layup, but those that take a rip at the green will potentially enjoy one of the most exciting shots of the day. 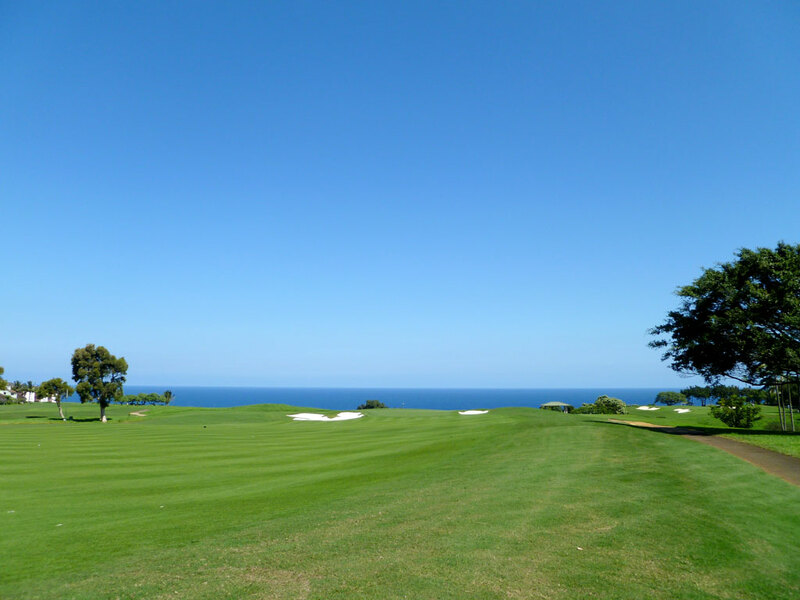 Bogey Beware: 13th Hole – 255 Yard Par 3 – There are several spots at Makai that feature gorgeous ocean views and scenary, and the 13th tee box is one of them. The golfer needs to focus past this distracting view and get geared up for the task at hand; a daunting 255 yard par three. The hole features a jungle ravine to the left and o.b. if you spray it way right. The green is further protected by two bunkers right of the putting surface and two more to the left. The green calls for a draw, another challenge for most players, which can bring the ravine on the left into play if your gentle draw unleashes its ugly step-brother; snap hook. The combination of distracting views, long length, and the amount of trouble on this hole make it a major Bogey Beware to contend with.